The Joseph Rowntree Charitable Trust is committed to protecting personal information and being transparent about what information we hold and for what purpose. Please read this Notice carefully to understand our practices regarding your personal information. We may update this Notice from time to time so please check it regularly. If there are any significant updates we will inform those people with whom we are in regular contact, such as our grantees. By using our website you accept the conditions set out in this Notice. 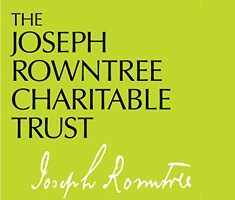 The Joseph Rowntree Charitable Trust is an independent, endowed grant-making foundation supporting people who address the root causes of conflict and injustice. We are a registered charity in England and Wales, No. 210037. We collect information from you via online application forms, email communication, letters or information provided in other ways. We need your personal information to allow us to make grants and to comply with our legal and fiduciary duties. Grant-making is our core charitable activity and we hold information about organisations and individuals. In addition to making grants, we also seek to further our charitable aims for the public benefit by providing additional support to grant recipients, and occasionally commissioning research or other activity in the areas in which we fund. The Trust has a legitimate interest in processing data relating to grant applications, grants awarded and our wider grant-making related activities. When we process your personal information for our legitimate interests, we will consider and balance any potential impact on you and your rights under data protection and any other relevant law. We will not use your personal data for activities where the impact on you overrides our interests (unless, for instance, we are otherwise required or permitted to by law). Some examples of the type of information we may collect and hold about you include your name, email address, postal address, telephone number, IP (internet protocol) address. Your information is only accessible by staff and, where appropriate, trustees and co-optees (for example, for assessing grant applications) who are bound by appropriate policies and procedures to protect your information. as required or permitted by any law (for example, with HMRC). We are committed to ensuring that there are appropriate technical controls in place to protect your personal data including protection from misuse and unauthorised access. For example, our network is protected. We will keep your details on record for as long as it is necessary for the relevant activity and then for a period afterwards as determined by applicable legislation, regulations and best practice. to request us to correct any inaccuracies, to erase your personal information, to restrict our processing of personal information, or to object to our processing of your personal information. In certain limited circumstances, we may legally refuse your request. If we do refuse your request we will let you know the reason. To find out more about your rights please contact our office as set out below. We keep this Notice under regular review. This Notice was last updated on 21 May 2018.